MPG-o-Matic 2010 Nissan Rogue Review Summary: The 2010 Nissan Rogue S Krom plays in a hotly contested field, as it scores big points for style and handling among the compact crossover competition. Slotted between the luxurious Murano and the raucous Juke, the Rogue leans toward the sporty side with a distinctive design. The 2010 Nissan Rogue is available in both all-wheel- (AWD) and front-wheel-drive (FWD). All 2010 Rogues are equipped with a 2.5-liter DOHC inline four cylinder engine producing 170 horsepower (HP) and 175 foot pounds of torque. The official fuel economy estimates for the 2010 Nissan Rogue are 21 city / 26 highway miles per gallon for the AWD version and 22 city / 27 highway for the FWD version. We traveled more than 900 miles in our AWD Gotham Gray Rogue S Krom review unit and were able to slip past the official mileage estimates, with an average of 29.5 MPG on the Interstate highway and 24.9 MPG combined, with temperatures ranging from the mid-seventies through the low-nineties. The test vehicle was delivered with over 7500 miles on the odometer. Interstate Mileage Testing performed with cruise control set to 68 MPH, A/C off, windows up. The 2010 Rogue S Krom AWD is clad with 17 x 7.0 inch alloy wheels and P225/60R17 Continental Conti 4×4 Contact or Dunlop ST20 Grandtrek all-season tires. (The base Rogue is equipped with 16 x 6.5 inch steel wheels with P215/70R16 tires.) A Tire Pressure Monitoring System is standard. While the inline four is willing, the Rogue is only available with a Xitronic CVT automatic transmission. SL models are equipped with a manual shift mode. Highway driving range is good when driven conservatively. The 2010 Rogue is fitted with a 15.9 gallon fuel tank and is designed to run regular unleaded fuel. The AWD Rogue S has a curb weight of 3435 lbs., while the AWD Rogue SL rolls in a bit heavier at 3534 lbs. As expected, the FWD versions are lighter with the FWD Rogue S weighing in at 3281 lbs. and the FWD Rogue SL tipping the scales at 3354 lbs. The Rogue is equipped with four wheel anti-lock (ABS) brakes with Electronic Brake Force Distribution. The vented rotors measure 11.84 x 1.04 inches in the front and 11.68 x 0.64 inches in the rear. Although the 2010 Rogue SL includes a drive computer display that provides MPG, distance to empty, average speed, elapsed time, and outside temperature, this feature is not available in the S model. 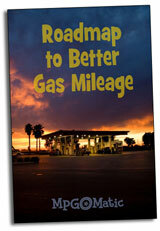 Fuel conscious Rogue S drivers should consider adding an aftermarket MPG gauge. Out on the road, the Rogue is among the sharpest handling compact crossovers, although the CVT transmission may take a bit of fun out of it for the sporting purists. The Rogue’s well-designed interior leans more towards sport than the Murano, its more luxurious and larger sibling. Our review unit was equipped with the standard four-way manually adjustable cloth seats. The Leather package option includes heated front buckets and a power 6-way drivers seat with power lumbar. Steering wheel-mounted audio controls are included with the Krom edition and with the Premium option packages. Hands-free Bluetooth and a seven-speaker Bose audio system are included in the Premium option packages, but not with the Krom edition. There’s just one twelve-volt outlet in the Rogue S, located at the base of the dash. The Rogue SL adds a second twelve-volt outlet in the center console. While an integrated rearview mirror backup monitor is optional, we did not have the opportunity to test it. The Rogue’s second row accommodates taller folks with 38.3 inches of rear seat head room (without moonroof) and 35.3 inches of rear seat leg room. Adding the moonroof cuts rear seat headroom down to 37.6 inches. There is no center armrest. You’ll find sufficient room for most cargo needs, with 28.9 cubic feet of cargo area when the Rogue’s 60/40 fold-down rear seat is up, and 57.9 cubic feet of space when the rear seat is folded down. If cargo room takes priority over style and handling, other crossovers may get the nod. The Krom Edition puts style at the forefront, with design tweaks to the nose and tail, integrated fog lights, a bold dual center-mounted exhaust, rear spoiler and “brilliant finish” 17-inch wheels. All-in-all, the 2010 Rogue is a pleasant little crossover with room to haul the crew and gear. If you’re shopping the Rogue against the competition, be sure to choose the right model and option packages when you do your comparison, as not all features are available across the range. I liked the objective tone of this review of the 2010 Nissan Rogue. Do include the safety features of cars while reviewing because this is a important factor that buyers consider. I like companies that put driver and passenger safety first. For instance, Mercedes will use a driving simulator to fine tune its driver assistance systems. To know how, take a look at video in the CCM News website.